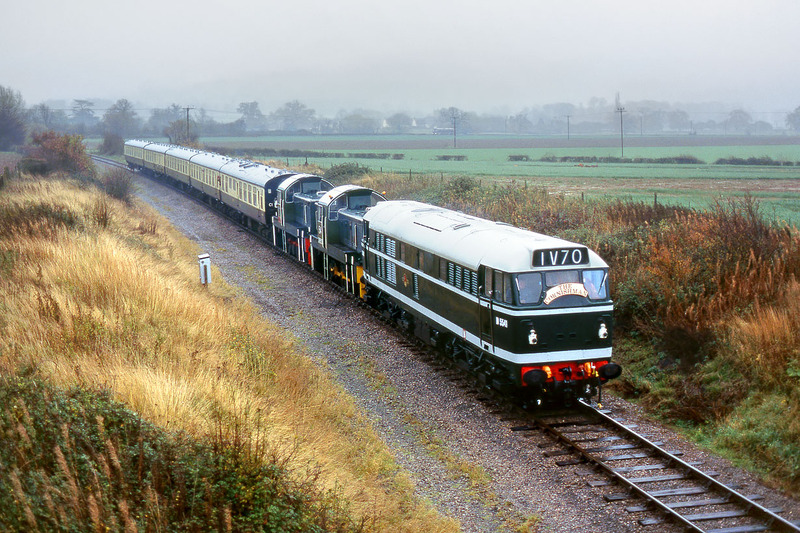 The first train of the Gloucestershire Warwickshire Railway's Autumn 1994 Diesel Gala was this impressive Class 31/14 combination. Complete with 'Cornishman' headboard, D5541 leads Class 14s D9553 & D9539 past Hailes on 12 November 1994 with the 09:00 Toddington to Far Stanley service. Despite the atrocious weather, I have included this picture because of its historical significance. D5541 was subsequently scrapped, and both the 'Teddy Bears' have moved away from the line.